Due to the ICCB congress approaching, we would like to hereby provide you with the key information. 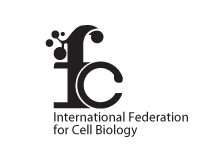 The 12th International Congress of Cell Biology is held at the Prague Congress Centre (PCC). Registration is located 1st floor. Vaclav Havel Airport Prague handles flights from within Europe and from overseas. It is located 30 – 45 minutes by car from the centre of Prague. There are good connections between the airport and the city centre by public transport, buses and taxis. An airport shuttle service can be ordered via the website http://www.prague-airport-transfers.co.uk/ or on 800 870 888. ALL ICCB 2016 DELEGATES WILL RECEIVE A FREE PUBLIC TRANSPORT TICKET UPON REGISTERING (VALID FOR CONGRESS PERIOD – July 21 – 25, 2016). Prague has a sophisticated underground, tram and bus transportation system. During peak hours trains run every 1 or 2 minutes and during off-peak hours at least every 10 minutes. Metro operates daily from 5 a.m. to 12 p.m. The Prague Metro network consists of 3 lines designated by letters and differentiated in colour: A - green colour (Depo Hostivar station – Nemocnice Motol station), B - yellow colour (Cerny most station - Zlicin station), C - red colour (Letnany station - Haje station), with transfers possible at Museum station (lines A and C), Mustek station (lines A and B), Florenc station (lines B and C). Prague Congress Centre is located right next to the Vysehrad metro station (line C). When taking a taxi, make sure the taxi is equipped with a permanently installed yellow roof lamp with the TAXI sign in black letters. The registration number, company name and price list including the base rate, rate per kilometre and one-minute-waiting rate must be displayed on both front doors of the cab. These prices must correspond with the prices set on the meter in the cab. Customers are recommended to order a taxi with non-stop dispatching offices where the information on fares is available in advance. In the city centre taxis are easy to get from the street but we strongly recommend to use hotel taxis or book taxis by phone through the radio taxi service e.g. AAA (+ 420 14 014), City taxi (+420 257 257 257) or Speed cars (+420 224 234 234). Journeys within the city: approximately 28 CZK/ 1 kilometre. Do not board the taxi without finding out if there is a fixed rate. Please visit the Registration Desk (located on the first floor of Prague Congress Centre) when you first arrive at the congress to collect your name badge and other related materials. Please use entrance no. 5 when entering the building (outside signage is available to show you the right way). Delegates with underpayments or unpaid registrations will be asked to balance their dues at the Cash Desk (Credit / Debit cards (Visa, MasterCard) or cash (EUR) are accepted. Please note that if you have not paid for your registration yet, you have to make your payment before participating in sessions. Your name badge has to be worn at all times to gain access to the sessions and exhibition display area. Please note that lunch is not included in the registration fee. However cash bar will be set-up within the venue selling light snacks, salads and other refreshment throughout the Congress. If you have reserved your accommodation through the official website, a confirmation of your reservation was sent to you by email. Please present your confirmation at the hotel reception or identify yourself using your ID card and mention that you are participant of ICCB 2016. Should you need any further assistance, please feel free to contact us at the Registration hotline or the on-site Registration desk. The printed copy of the programme including abstract book will be distributed on-site. Your presentation must be handed over to the personnel on a USB stick in the slide preview room as far in advance as possible and two hours before the beginning of each of your dedicated sessions at the latest. Any presentations for an early morning session should be handed over the evening before. Technicians will be available to help you with uploading your presentation onto the on-site presentation system and with any modifications needed. All presentations will be automatically transferred from the slide preview room to the lecture room accordingly. Speakers of educational symposium and Main symposium I were kindly asked to provide their PPT presentations in advance via email. All authors are obliged to read and follow the Authors guidelines with complete instructions on how to prepare their oral presentation/poster available here. Poster area will be open for mounting on Thursday July 21, 2016, as of 13:00. All posters should be set up by 13:00 on Friday, July 22 at the latest. Posters will remain displayed during the whole congress period. Each poster board was given a specific number. Authors are kindly asked to make sure to mount their poster on the poster board with the number corresponding to the number assigned to their poster presentation (e.g. P 001, P 002 etc…). Posters must be removed by their authors on Monday, July 25 by 12:00. Congress organizers cannot accept any responsibility for any materials left behind; unremoved posters will be automatically trashed. For any programme queries please see a member of staff at the desk dedicated to scientific topic at the registration area. Format: Brief talks from each speaker, followed by a panel discussion with plenty of opportunity for questions/comments from the audience. Small refreshment will be available for all symposium attendees. Exhibition is located on the second floor and all exhibitors are listed in the programme. All registered delegates present on site are entitled to receive a Certificate of Attendance. An electronic certificate will be provided via email after the congress. A cloakroom is located on the first floor, the service is provided free of charge to all registered participants. Exchange offices are located all around the city center (exchange offices, banks, post offices). ALL RATES given in the program are in EUROS (€). Some big stores and restaurants accept Euro. All travel grants had to be applied for in advance and have already been assigned. No additional travel grants, reduced fees or financial support of any kind can be given to participants. All grant recipients are kindly ask to register at the on-site registration desk and then visit the Cash desk to proceed with their grant administration. The organizers will accept no liability for personal injuries sustained by or for loss or damage to property belonging to congress participants, accompanying persons either during or as a result of the congress or during all tours and events. Upon registration participants accept this proviso. Participants are strongly recommended to seek insurance coverage for health and accidents, lost luggage and trip cancellation. Free Wi-Fi internet connection will be available throughout the Exhibition area. Network name: ICCB2016 with no password. Please note the number of concurrent connections is limited. Participants arriving by car are advised to use the underground parking space available. Parking fees are not included in registration fees. The Czech Republic is in the Central European Time Zone. Central European Time (CET) is 1 hour ahead of Greenwich Mean Time (GMT +1). After the last Sunday in March the time in Czech Republic is shifted back by 1 hour to CET and this remains until the end of September. We are looking forward to welcoming you in Prague in a few days!